Although Mountain of the Dead didn't completely wow me, it entertained me enough to want to delve deeper into the back-list of World's Scariest Places. 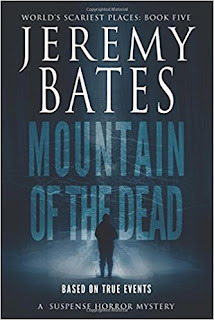 Jeremy Bates knows how to create atmosphere and build drama, connecting historical mystery with contemporary thriller. It comes across as part documentary and part fictional narrative, with a lot of speculation between the two, and that intersection is what kept me reading. I hate the cold and the snow, but I do love danger and adventure, so the contemporary journey into the frozen wastes was fantastic. Dramatic and action-packed, it captured the tension of human versus human conflict as well as human versus nature. It's a tense, often claustrophobic tale, and the little discoveries along the way just add to the excitement. The story was a bit dry in parts, and I felt it suffered from some uneven pacing, but my fascination with the mystery and my craving to know how and why it all came together kept me reading. It's hard to capture a sense of drama with a historical tale that we know ends in death, but counting down the days, then the hours to live in each chapter is a nice touch - and that's where Bates excels. He knows how to make those connections, and he knows how to make a compelling argument while teasing the answers . . . and, of course, the monstrous big reveal. As for that big reveal, reader reactions seem to suggest it's somewhat polarizing, but I think it's handled exceptionally well. 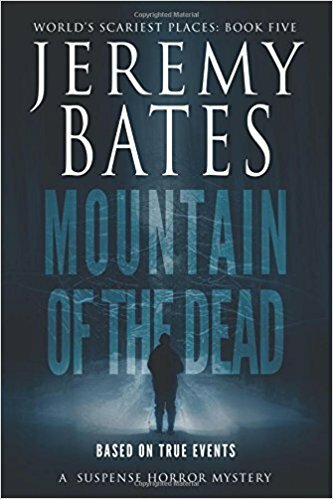 There is a history and an explanation behind it, that goes beyond the usual "hidden monsters in our midst" trope, and Bates adds a sympathetic aspect to it that really flips the conflict in the later chapters, making us question who we should be cheering for. All told, a solid thriller, a great historical mystery, and an adventure that leaves me wanting to read more.